New Zealand has always been a popular tourist destination, but there is no doubt that this popularity has dramatically increased in recent years, thanks to the huge success of the Lord of the Rings movies, filmed throughout the country. Tolkien fans from far and wide have flocked to the southern island country to visit the settings of their favorite scenes, turned from classic book into Hollywood blockbuster. However, whether Lord of the Rings is something that interests you or not, you will find that New Zealand has more than you would expect to offer as a tourist destination – this small country is filled with more than meets the eye. 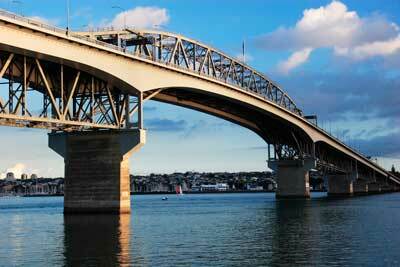 Auckland is the largest city in New Zealand, and a must see for tourists visiting the country. 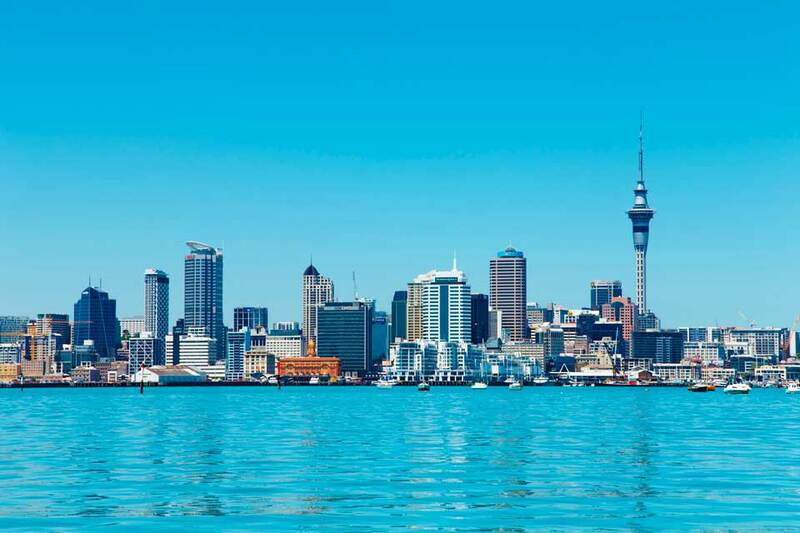 With a population of around 1.4 million, Auckland is by no means a huge city, but certainly has a lot to offer. The size of Auckland, as well as its proximity to other points of interest in New Zealand, makes it the perfect place to rent a van from and explore the rest of the country. Whether you’re looking for a few days of shopping and fine dining, hoping to investigate the numerous museums and art galleries spread throughout the city, excited to explore the multiple extinct volcanoes in the area, or simply looking forward to soaking up the atmosphere in the city, Auckland will not disappoint. Located in the northern half of the north island of New Zealand, Auckland is a culturally diverse city with a relatively sunny climate. Although a large urban centre, Auckland offers fantastic natural scenery as well, and at any point in the city you are only half an hour away from beautiful beaches, numerous hiking trails and many spectacular holiday islands. Auckland’s cultural and environmental diversity are what make this city so special. If you’re lucky enough to visit Auckland and have the time and inclination to discover the art and history of the city, pay a visit to the recently refurbished Auckland Art Gallery, or Toi o Tamaki in the Maori language. Here you will find an exceptional collection of traditional and contemporary art, with permanent collections as well as regular visiting exhibitions. Similarly, the Auckland Museum is home to the world’s largest collection of Maori and Pacific Island artifacts and history. As you learn more about the history of New Zealand, you will develop a whole new appreciation for the ingenuity and innovation shown by the original occupants of this land. Within central Auckland, you have the chance to experience the many fantastic waterside eateries of Viaduct Harbour, enjoy the wonderful shopping opportunities presented by Queen Street, and appreciate a brew or glass of superb local wine around Vulcan Lane. For an extremely contemporary experience, head to Britomart. Here you will find graceful heritage buildings housing quirky and cutting edge designer fashion boutiques, as well as more traditional and internationally acclaimed labels. A van rental from Auckland will allow you to head out of the city, northbound, and experience the charming countryside, beautiful beaches and fantastic food and wine that North Auckland has to offer. Using your Auckland van rental, explore the beautiful coast, with a myriad of opportunities including kayaking through the beautiful calm bays, snorkeling or diving through beautiful kelp forests or even glass bottom boat cruising! Alternatively, stay on the land and try horseback riding through picture perfect farmland and lush forests. All of these opportunities are so easy with your Auckland van rental – they are all just within a 45 minute drive of the city!